Just be happy! : Yay! Yay! Yay! 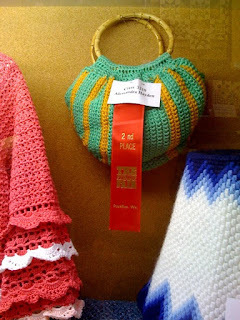 Today was a big day for me, it was the fair opening day and I just couldn't wait for my husband to get home, so we could go and check out the "Home Arts" department and see if any of my entries were awarded and the answer is YES! I am so happy to announce that I got not only 1st place with this top but it got the Judges craftmanship award as well! 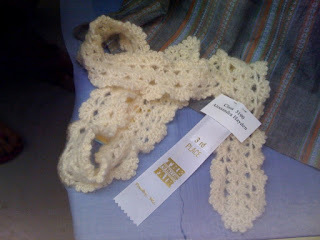 And my ruffled scarf got a 3rd place. I'm sorry for the quality of the pictures, I know it's really poor, but I brought my camera without the memory card (dumb! ), so I had to take the pictures with my phone, oh well... nothing really bothers me, I'm so happy! Congratulations, Alessandra!! I don't know what else to say, somehow I am impressed by your awards but the truth is I shouldn't because everyday I see what are you capable of. You deserve them. Fantastic, well done. How rewarding for you! Congrats dear! How very exciting! 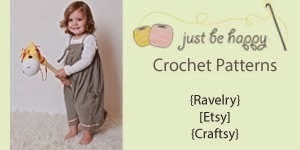 How could you not have won anything with all the lovely things you make. Congrats! I think you should wear those ribbons all week long. This is great news! Hey girl! congrats! I knew you would bring home the blue! Congratulations!!!! These are such amazing honors and ones that are well-deserved! Again, congratulations! Yeah! Congratulations! That's so very cool and you so deserve those pretty ribbons! Congrats, that is truly wonderful! Tantos prémios e todos bem merecidos! Wow!!! You did good, as they say here in NC! Congratulations! 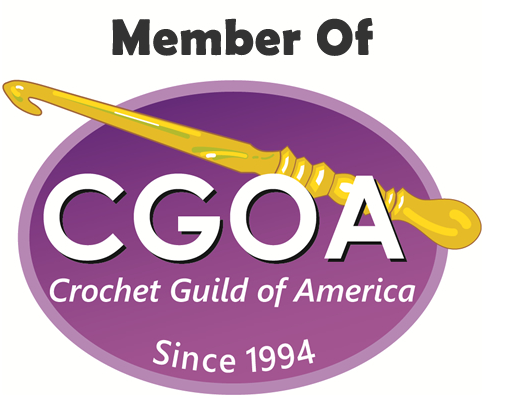 Your crochet is beautiful! how exciting..i love the fair from my own home town..
my uncle used to do embroidery and crewel work ( he had polio has a boy) anyway his mom taught him all types of handiwork...he'd enter the county fair and win all types of blue ribbons....what a role model even for a woman of all thumbs..
What a tremendous accomplishment, congratulations to YOU!! I am very excited and happy for your ribbons. Your work speaks for itself!